Hold the presses and pinch the girl to make sure she isn’t dreaming! Lifelong comic book fan and illustrator Rian Gonzales got to live out her dream when she was asked to provide cover art for the relaunched “Betty & Veronica” #1 that will be out in all comic book stores by Thursday, July 21. 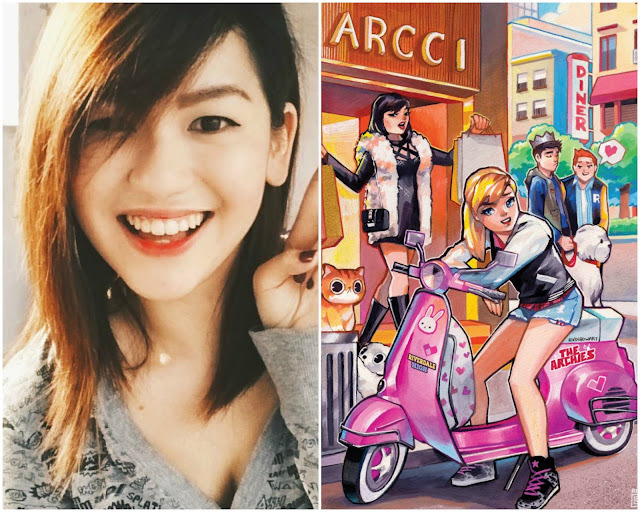 And this coming weekend, this talented young woman who read — and still does — Archie comics as a kid, will be signing copies of the first issue at Comic Odyssey at FullyBooked Promenade, Bonifacio Global City (Saturday, 1-4pm, July 23rd) and at Filbar’s UP Town Center in Diliman, Quezon City (2-6pm, July 24th). "Betty & Veronica" is the third relaunched title from the successful update on the popular Archie line of comics. 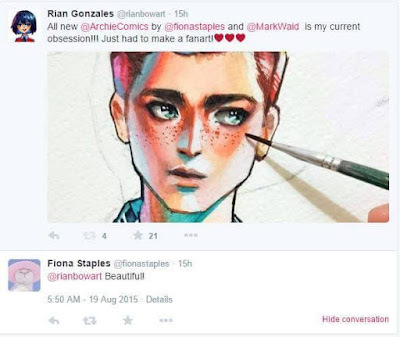 The new book follows the successful relaunches of “Archie" (by Mark Waid and Fionat Staples/ Annie Wu) and “Jughead" (Chip Zdarsky and Erica Henderson) and will be written and drawn by noted “cheesecake’” artist Adam Hughes. Gonzales is one of 25 different artists who are doing variant covers. Once Gonzales snapped out of her fangirl reverie, she buckled down to work. It’s a dream come true for the young artist who during her school days would save up her money to buy comic books (among others). "Growing up, I'd save up a bit of my allowance to read Archie comics, Spider-Man, and W.I.T.C.H. More recently, my absolute favorites are Paper Girls, Batgirl, Gotham Academy, Captain Marvel, Ms. Marvel and of course, Archie Comics! I'm currently on the lookout for the DC Rebirth Nightwing and the Teen Titans titles! I read a bunch of mangas too." "Archie comics was a big part of my childhood. To see them change throughout the years was such a pleasure. When I found out about the reboot, I was sure I'd already be following the series! 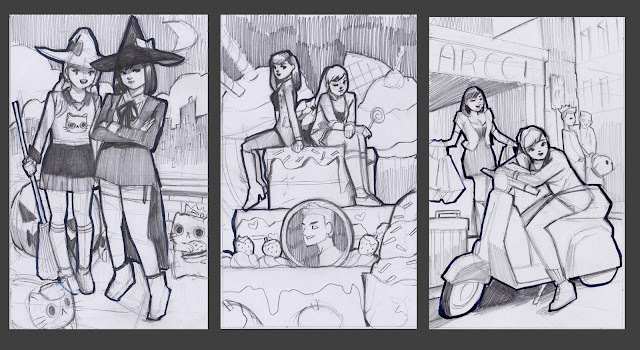 I even got more interested when I found out that one of my art idols will be illustrating the interiors for it! Mark Waid's writing on this series is incomparable! He managed to stay true to the characters' personalities and added more depth into them! It was truly a treat reading through all the issues." "I'll also be part of the INK at 25 exhibit sometime in September at the Ayala Museum,” added Gonzales. "Cover art-wise, nothing soon that I can divulge at the moment but definitely keep your eyes peeled!" Gonna have Mike Zeck sign this!